If you have read my previous post on "My Acne Story", which has currently been replaced by this post, you already know how bad my acne was in the past. Anyway, whether you are a regular reader of my blog or a reader who just arrived at my blog and are suffering from acne, I really hope my story can make you feel better; and is able to give you some motivation to continue to battle with your acne. Acne sufferers, trust me, I totally understand how you feel. I know it because I went through what you are going through now. You're not alone! 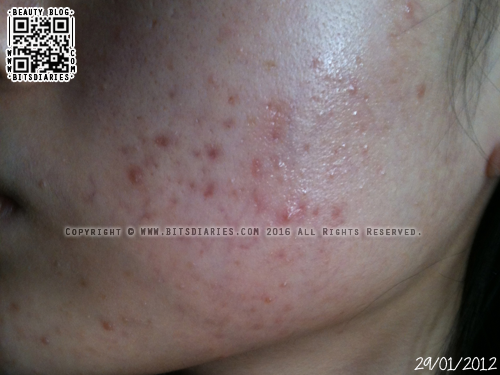 With proper treatment, acne does go away, therefore never give up hope in healing your acne! I have acne since I was a teenager but it was kinda mild back then, so I didn't really give a damn to it. Furthermore, in the past, I have totally no interest in skin care stuff. So my skin care routine was kept very simple. I only used a cleanser to cleanse my face not to mention, make-up was never in my hobby list in the past. My acne stayed mild until I was 17 years old. I still remember it was Year 2009, somewhere in November-December, my acne started to deteriorate from mild to moderate. Before my acne became worse, my life routine was flipped upside-down and messed up. I slept super late, woke up late, skipped meals, ate lots of oily, spicy, fried and junk foods, which I believe caused my hormones to go crazy, thereby causing my acne to advance from mild to moderate. As I was a newbie and had completely zero knowledge on beauty stuff, I have no idea what to use so I just randomly bought and tried some skin care products from the drugstores. Being impatient as I wanted to get my acne healed as quickly as possible, I cleansed my face 3-4 times a day and switched products in less than a month of usage when there weren't any noticeable results. As a result, my skin broke out even more. There were a few times where my skin got irritated and dried (itchiness, red patches, burning etc.) due to the use of inappropriate skin care products and methods. Honestly, I felt downhearted each time I broke out, especially when I have yet to heal my previous breakouts. I panicked each day when my acne seemed to get worse and worse instead of getting better. And I felt even more depressed when people commented about my acne. This was when I started using make-up, trying to cover up all the imperfections on my face, without even knowing the basic rules of taking care of my skin. Eventually, my acne advanced from moderate to moderate-severe. It may not be the worst acne case on Earth but to me, it was a nightmare. ...and I knew something that I used may have caused such issues. Hence, I modified my skin care routine and kept a close watch on how my skin progresses each day. Yes, I analyzed my skin every day and modified my skin care routine when needed. On top of that, I make sure to stick to a product for at least 2-3 months before jumping into conclusion on its effectiveness. With all these steps, my acne started to improve dramatically. However, my skin was left with tons of red, brown acne marks/scars. Thankfully, they were not permanent scars (referring to box-scar, ice-pick, rolling scars). These red, brown marks/scars took months to get healed. It was a really long process but I waited and at the end of the day, my patience was well paid off! Today, I wouldn't say that I am officially free from acne because I do still get them occasionally. I do get breakout when it's the time of the month (life being a girl), when I mess up my life routine or when I use products that don't suit my skin. However, it isn't as severe as what I had gone through hence, I think I should be thankful instead. DISCLAIMER: Throughout my acne journey, I did not take any medication nor undergo any facial treatment. All the healing are purely achieved by using skin care products and by some lifestyle changes. Acne sufferers, NEVER GIVE UP HOPE. 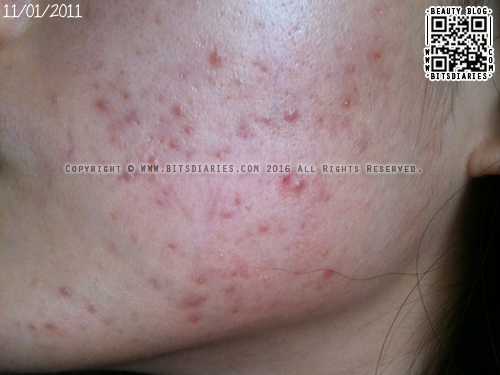 If I can heal my acne to this state, I believe you can too! Stay strong, be patient... Keep fighting~! If you would like to know what products I used to heal my acne, please visit "My Skin Care Routine" page. Check out "THE RULES" I abide by which helped me in getting rid of my acne. 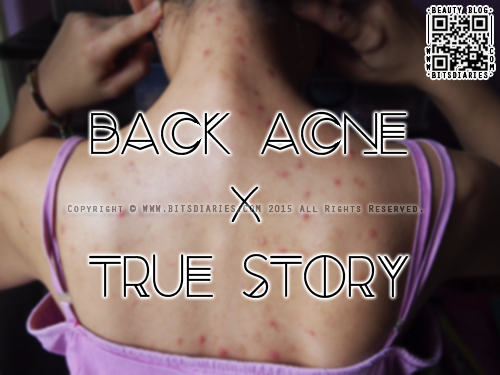 If you're struggling with back acne, you gotta check out "BACK ACNE x TRUE STORY"
... as well as "The DOs and DON'T when dealing with back acne". - "4 Acne Mark & Scar Treatment Recommendations"
- "The Difference Between Skin Irritation and Skin Allergy"
- "5 Habits For Clear Skin"
- "What The Location Of Your Acne Is Telling You + The Solutions"
- "Understanding The Types Of Acne Scars — Post Inflammatory Hyperpigmentation, Boxcar, Rolling, Ice-Pick, Keloid"
*"Click here to read MORE ACNE TIPS~"
*There is more to come (more topics on acne such as how to deal with breakouts, tips...) so be sure to stay tuned to my blog. 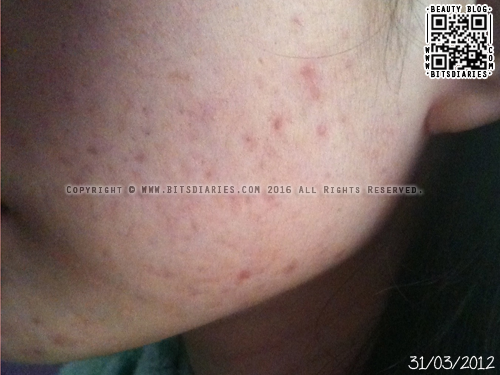 this post was really insightful for me, as I've been suffering from acne for 3-4year already. Gonna try out the product you mention and hopefully that would 'cure' it. Could you share with us your beuty regime for both morning and night? Thanks for the tips. Honestly if you are really looking for a more detailed guide I'd recommend EasyAcneGuide.com it really helped me get over my acne. One of teh best guides imo. There is just so much BS on the web regarding acne. A lot of it is false/myth, so that guide ^^ helped me out. Real stuff. awww thats so sweet of you! My email is heartadoll@gmail.com. Remember... never give up hope and try not to feel stress about your acne. Acne comes and goes and there's definitely a cure to it. Just never give up! Keep on trying different ways, products until you find the ideal method to cure your acne. Why have you not kept in touch with me? Anyway, glad to know that you're still doing beauty product reviews! Are you going to be the next michellephan/bubzbeauty/etc ? HAHA. Take care, and meet up soon!! You really inspire me, I WILL keep on fighting. Thank you very much! As for acne, try using products that contain salicylic acids. My favorite acne products are from the Etude House AC Clinic skincare line. They work amazingly for getting rid of my acne! P.S. : Products mentioned are my personal favorites and the effectiveness will vary from person to person as we all react differently to different products. This is kinda late but I just found this and it's really inspiring. I always feel so stressed after looking at the mirror because my skin keeps getting worse each time. I started breaking out mostly on my forehead, but now it's spreading to around my nose and for some reason, far over my right cheek as well. I'm desperate to have my skin heal and even though I try my hardest, I end up popping some of the "ripe" ones. >.<""
I was wondering if Tonymoly products work better or are Etude House products more effective? You have to learn to stay positive. Don't let acne disrupt your mood and make you feel sad and ashamed. Acne takes time to heal and getting rid of them require patience. Well, popping the pimples can be really tempting but you have to stop popping them because it can worsen the skin condition. Not only that, it also leads to scarring which will take much longer time to heal as compared to pimples that popped naturally. I don't know if Tony Moly products work better than Etude House products because besides the Tony Moly Aqua Gel Cream, I have not tried other Tony Moly products. So I can't compare on the effectiveness between both brands. However, I have tried Etude House AC Clinic range and they are pretty good in fighting acne. You might want to give them a try. :) I will suggest you to look for products that contain acne-fighting ingredients like 'salicylic acid' or 'benzoyl peroxide'. I got them from Gmarket Global. Thanks for the tips. i think i'll give ac clinic a try... i have oily and sensitive skin though...would it work? i just want to ask u..
Hi! I just want to ask if you have any product that helps to remove acne scar? Cause it's like a hole in my face and I just feel sad looking at it in the mirror :( I've been using the ac clinic line and my acne is recovering well. I'll only breakout during my period. There are those pinkish and brown scar that have been slowly recovering. But the 'hole' kind of acne scar just doesn't recover. Acne scars(hyperpigmentations) take months to fade off... They will fade off even without any treatments. As for the 'hole' kind of scars, you might want to try Hiruscar Gel. Well... Don't let acne hinder your confidence. Just don't worry too much and relax~ xP With proper skincare routine and lifestyle, I believe your acne will get better. For the "ice pick" scars, you can't really use topical products to improve them since those scars are a sign of the loss of collagen. You can try lasers and stuff but those treatments depend on your skin tone. You can ask a dermatologist on what to do for those "hole" scars. To reduce their appearance, I like to apply a primer to fill them in and then put BB cream/concealer/foundation over the top. The pink/brown scars aren't actually scars but signs of inflammation. I've had luck using products with Vitamin C in lightening them. i just read your post and i find it really2 helpful..though my acne problems is getting better..but one thing that i have problems to get rid of is the scar..i have lots of dark scars on my face due to the previous acne..its the sort of acne where you cant squeeze it then when its getting better it just there looking bumpy and the color is either dark choc or black..it really bothers me because if it is the type of scar with scabs it gonna be gone in more or less one month.. huu :( any idea how to solve it? and can you tell me your facial regimen morning and night? You might want to try Hiruscar Gel. You can google "Hiruscar" for more information. I have some problem too with the pimples on my cheeks forehead and nose . I have oily skin . And Im soo stress to think bout my pimples:( somehow I feel like wanna give up and will have bad mood on a whole day . Do you think ac clinic will work well with me ? And btw what's ur skin type ? Stay away from stress! Stress may make your acne worse. Learn to manage your stress and lead a healthier life. Never let acne get in the way of your self-esteem and confidence. I know it's hard to control that from happening but just try your best. No matter how bad your acne is, learn to stay positive and never let acne control your mind and your life! What product did you used with your acne marks? Currently, I'm using Hiruscar Post Acne Gel. what brand do u use to treat ur ance ? Hello, I read the entire post, but I am still unsure what product you used for the treatment for acne scars. If you could email me the name of the product that treats acne scars to isabelatanacio0406@gmail.com that would be awesome! 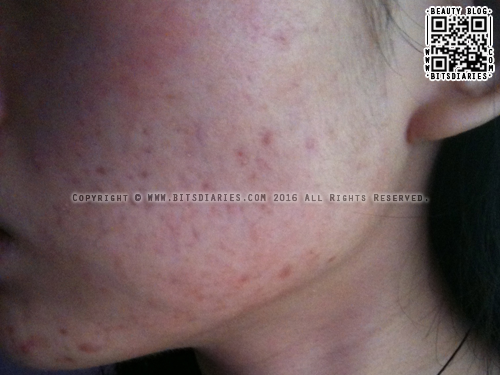 I use Hiruscar Post Acne Gel to treat my acne scars. I love your blog, it is sooo useful to me. Can you recommend a good cream/gel against acne scars and ance breakouts sometimes? You might want to try Etude House AC Clinic Gel lotion as daily moisturizer to prevent future breakouts and Hiruscar Post Acne Gel to treat acne scars. And abt use makeup.. can i still use bb cream? I have no confidence goin to school without anything to cover my horible face T.T I'm using missha m perfect cover bb cream . Hve you ever try it? Sorry for the extremely late reply... ><"
Of course you can use BB cream~ During the time I had bad acne, I did use BB cream and concealer however, I tried to apply as minimal makeup as possible because thick makeup can make acne worse. Well, I heard of Missha M Perfect Cover BB Cream before but I never try it. All the while, I only use Power Perfection BB Cream from The Face Shop. It works great for me without causing any breakouts. Thank you so much ♡ you really2 helps ALOTTTTT!!! Err...do you mind emailing me your problem instead? It's easier for me to reply through email. ><"
Your acne is not that bad to begin with :) I don't think it will scar once it heals. Is it okay to pop the pimple? Hello there~ Sorry for the extremely late reply... ><"
Instead of popping them, try to let pimples 'ripe' and heal naturally. Popping pimples can lead to scarring. Hello! I have very severe acne scars and it doesn't seem to get away. And if it really gets away, how do i make my skin smooth again? If you have severe acne scars, you may need a laser treatment. As majority of the skin care treatment products can only treat mild to moderate acne scars. I only use Nexcare Acne Patch when there is an inflamed zit or when the zit popped by itself. FYI, I don't use compact powder nowadays. Back then, I used Maybelline Pure Pact Mineral Healthy Perfecting UV Compact Foundation and it did not make my acne condition worse but do bear in mind that individual results may vary. Throughout my acne journey, I've used quite a number of products. Back then, my skin condition was really unstable, horrible and crazy. It can get very oily at times and then become super dry and sensitive(especially right after an allergic reaction caused by tea tree oil) next. Hence, I had to keep on switching products to suit my unstable skin condition. So I can't tell you which one works best as all of them played a role in treating my acne. You can check them out at my 'skincare routine' page. Anyway I wanna share the best solution I found so far :) I tried this Thai Skin Care (1) Kiss Aqua Mud Foam then (2) Snail White Cream then (3) Kiss Collagen Mask Cream. Did work wonders on my skin! 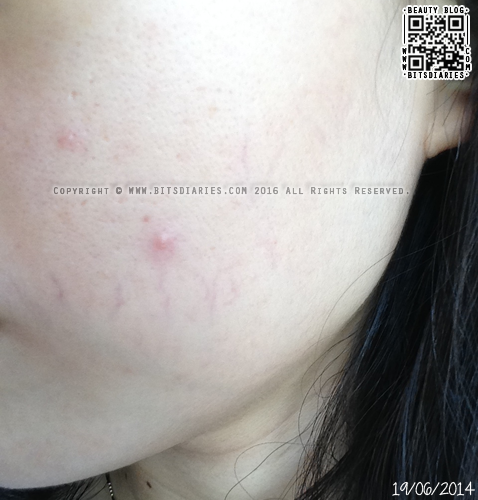 Acne Treatment Philippines is a good way to start getting read of acne. hi. seems like you have a great skin now. do you still use this cleanser? currently i try looking the best cleanser for me. is it ok for me to use this cleanser? now, i still searching the best cleanser for me. currently i used body shop seaweed cleanser. i don't think it really suiting me well cause it too tight after wash. and start showing breakout after 2 months i have been using it. Hi... I had acne scar on both side of my face... May I know what should I do to heal and recover the scar ? It is important that you associate your self with good and enough sleep and rest to have youthful skin, aside from having a good habits of course. As far as possible you have to have a good and positive view towards life. hi there guys! i just wanna also share how i removed my pimples/acne using the product of beauche it was very effective. 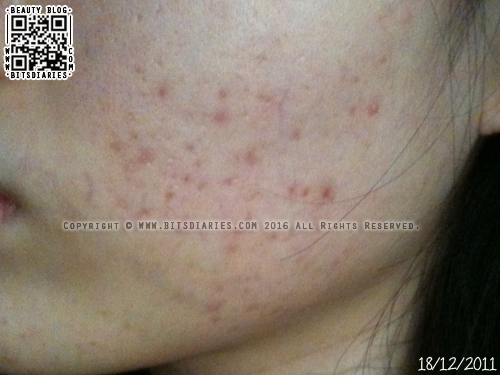 I used dermalmd scar serum to help fade acne scars and it helped a lot and I saw results in as little as a week (and that coming from someone with old and bad scarring) . I stopped using this because my face eventually got to used to it so it wasn't as effective, but I'm going to start again because it helped a lot! Very interesting and informative blog and about the acne and I must appreciate your work well done keep it up. I have been battling adult acne for a long time and nothing ever seems to do the trick. I was excited that something different is finally available got on google dermalmd blemish seerum and I couldn't wait to give dermalmd try. I have oily combination skin, lots of bumps and my skin can be rather sensitive to skin products. I have to say I am very pleased with this serum! My skin feels dry after I apply the serum but I always follow with a moisturizer once the dermalmd serum has dried. I haven't had any redness or excessive dryness as long as I apply a good oil-free moisturizer twice a day. My skin is looking much healthier. I've had no new acne and the bumps are starting to disappear. Even the discoloration from previous acne seems to be fading.